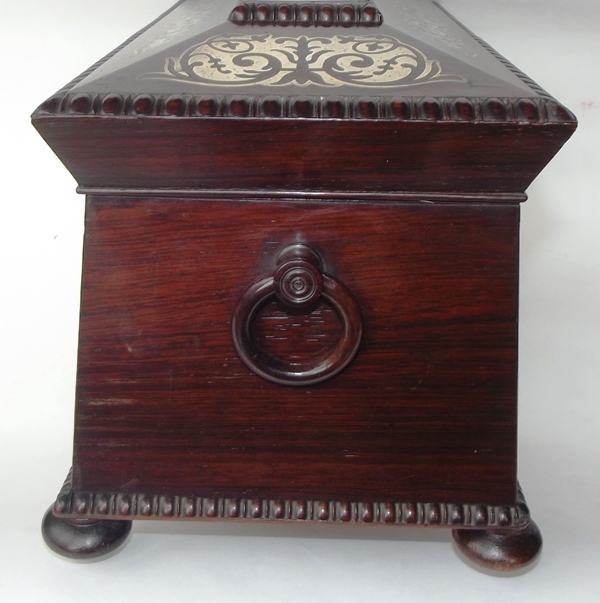 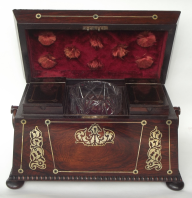 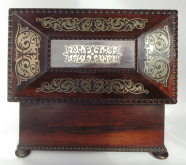 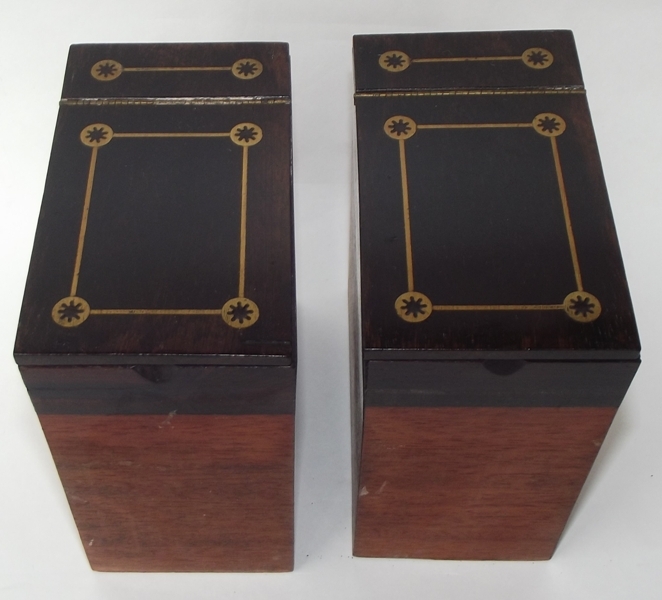 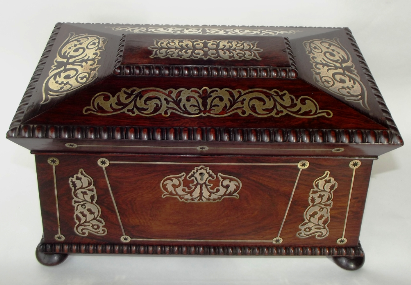 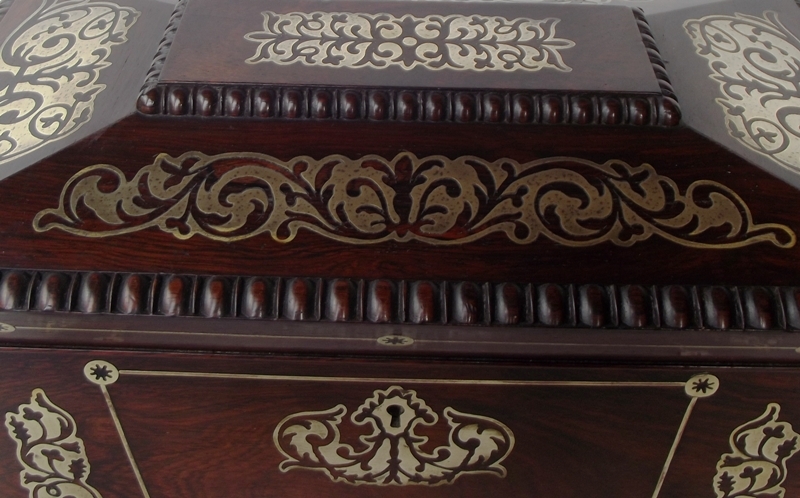 Extremely Fine Quality Well Figured Early Victorian Sarcophagus Form Rosewood Tea Caddy of English origin, large size. 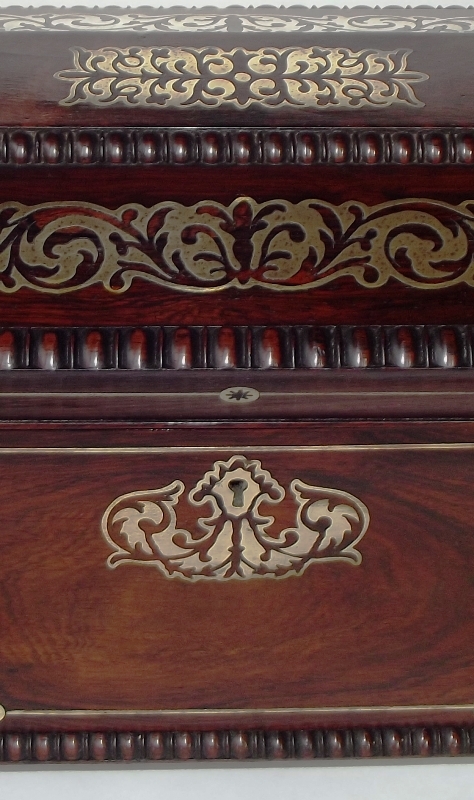 First quarter of the Nineteenth Century. 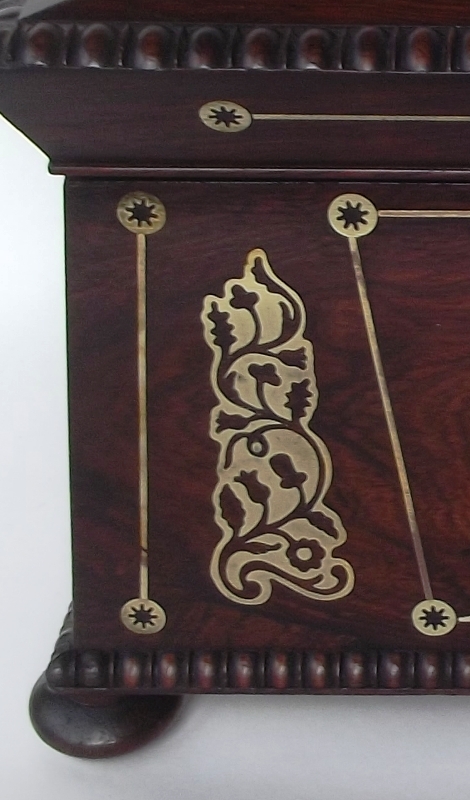 The dome hinged lid and entire front with lavish brass inlay decoration. 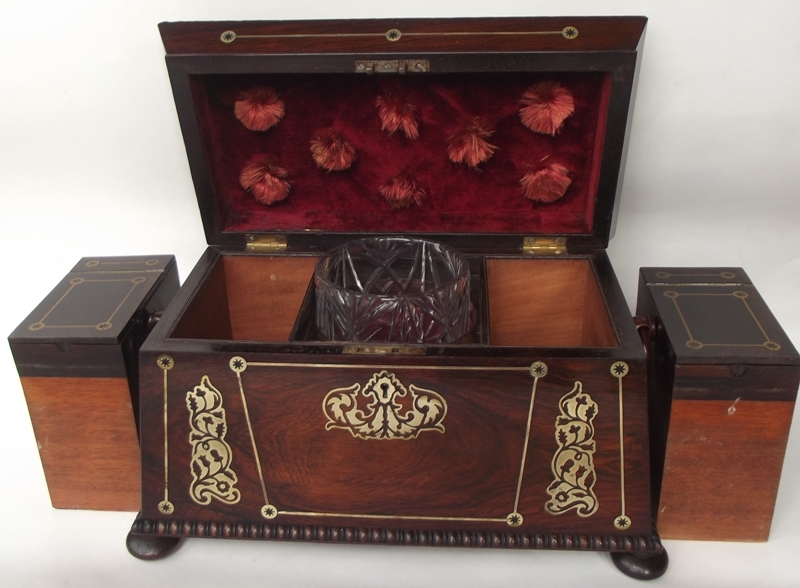 The original fitted interior with twin removable hing lidded boxes and central heavy hand cut crystal mixing bowl which is in our opinion original to this fine Caddy, raised on four squat bun supports. 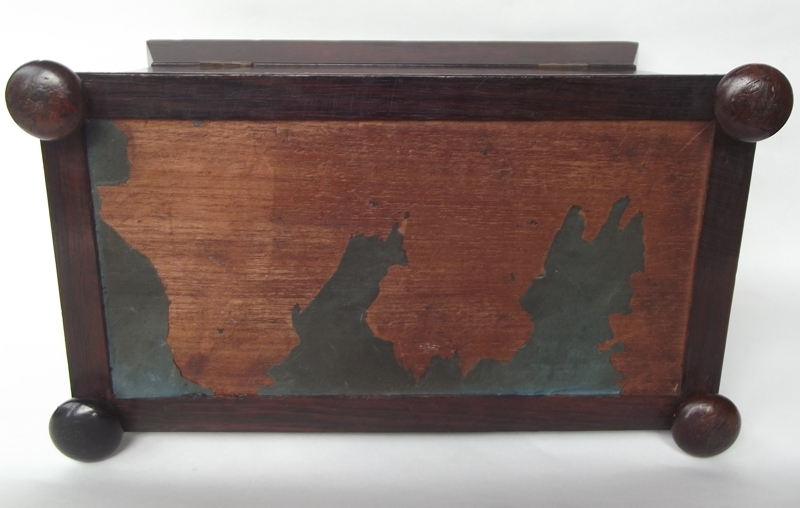 Condition: This piece is offered in its original untouched condition with no missing brass inlays. Wonderful evidence of age wear to base of crystal mixing bowl. 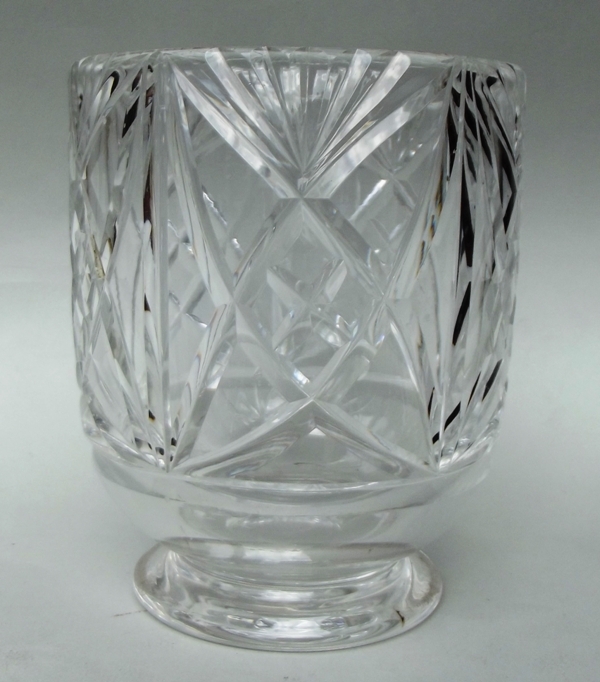 Width: (at base) 14" (35.5cm). 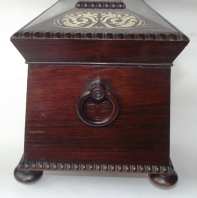 Depth: (at base) 8" (20.5cm) Height: (entire) 8.75" (22cm).